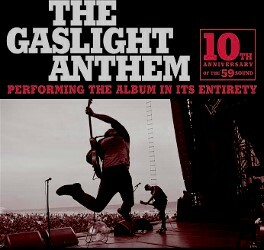 Welcome to the Gaslight Anthem Forum! New to DSS? Come introduce yourself! After your first post here, you'll be able to access the rest of what DSS has to offer! WELCOME! Post here: - if you have tickets for upcoming Gaslight Anthem shows which you are willing to sell at face value only (or less, if need be); - if you need tickets for upcoming Gaslight Anthem shows; - if you have extra Gaslight Anthem tickets you'd like to trade for tickets to other shows. Remember that ticket sales on DimestoreSaints are at face value or less only - posts asking for or offering more than face value will be removed.